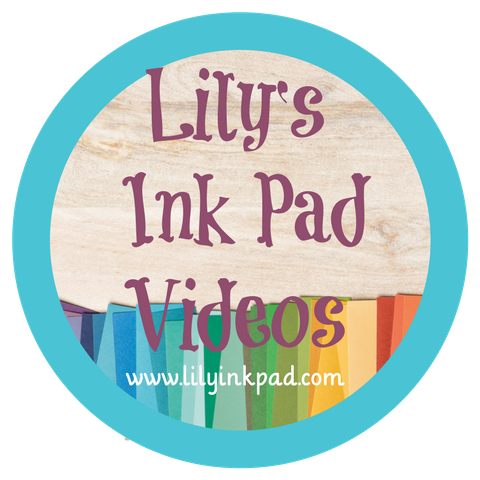 Welcome to the Lily Ink Pad stop on the Stampin' Addicts Summer Mini Catalog Blog Hop featuring new products from Stampin' Up! 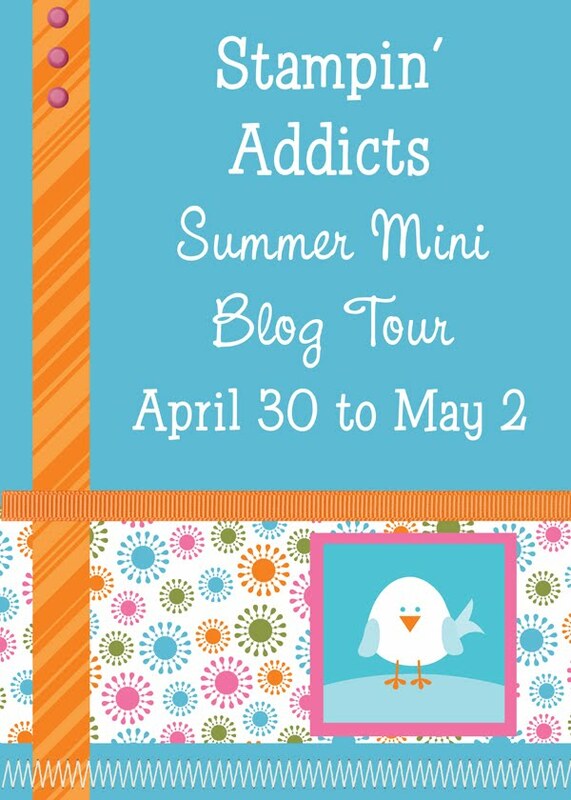 You may be starting with my blog or perhaps you've come from Mary's blog featuring Simply Adorned Charms, but either way you are in for a historical treat. 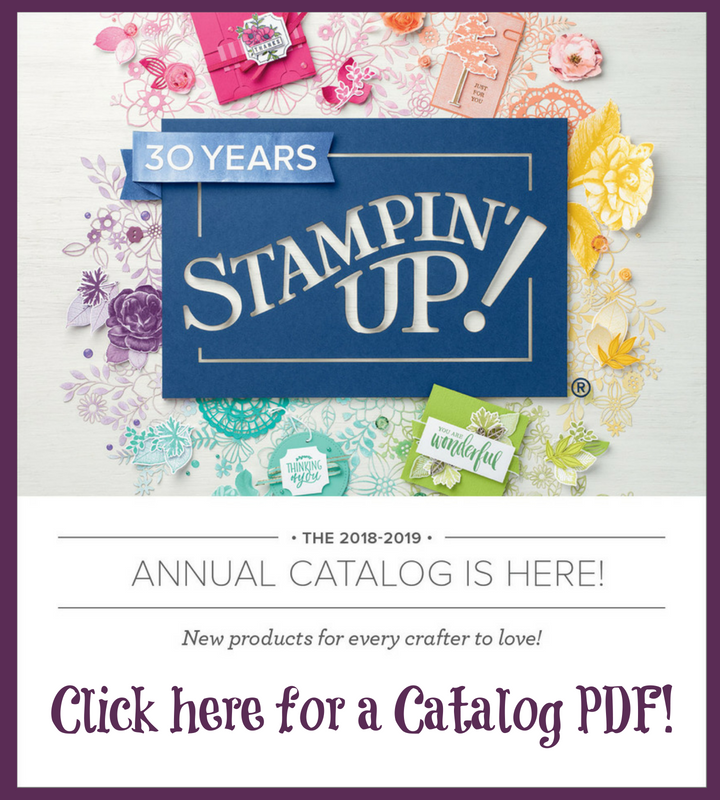 You might be thinking, "I didn't see papers that color in the mini-catalog," or "You don't mention embossing in your recipe." 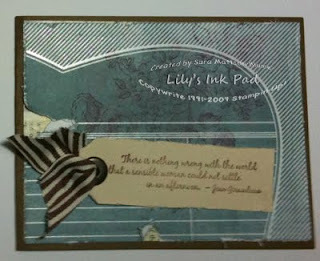 The Presto Patterns Designer Series Paper came embossed! All I had to do was use a brayer and an ink pad to apply the color I wanted! Also, you might have noticed my use of book-like paper as an under layer on my card. How'd I do that? 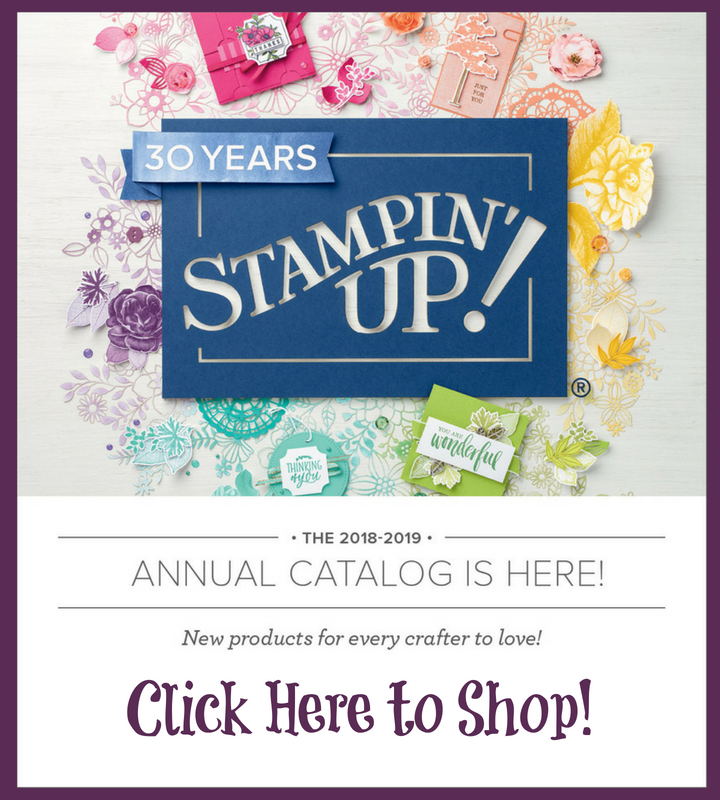 Well, at Leadership, Shelli, the Cofounder and CEO of Stampin' Up! mentioned using parts of old books to add a vintage look. Well, at my house here in Shawano, I didn't have any books. However, I found a magazine that I could use. I cut out a section, used my barely banana ink to color the paper, and added it as layer. A green technique! Check out those cuties on my grandma's lap- the pig tailed one is my sister and I'm the cute little baby. I never saw this picture before my mom sent it. She also said she forgot all about it. 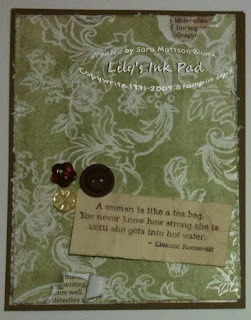 The saying I used was: "A woman is like a tea bag. You never know how strong she is until she gets into hot water- Eleanor Roosevelt." Both of my grandmothers were strong in spirit and real-life, but as my time with my grandma Leone neared it's end is when I realized how very strong she was. I plan to put this in a frame for a wall. I used my Smooch Spritz to color the paper creating that gold tinged copper background. I had some chocolates, so matched my accessories to those! To make this: Take a scallop and wrap it into a cone. Use the Crop-a-dile to punch a hole through both layers. Attach brad to seal shut. Use Crop-a-dile to make handle holes. Slide ribbon through. Fill. Deliver! 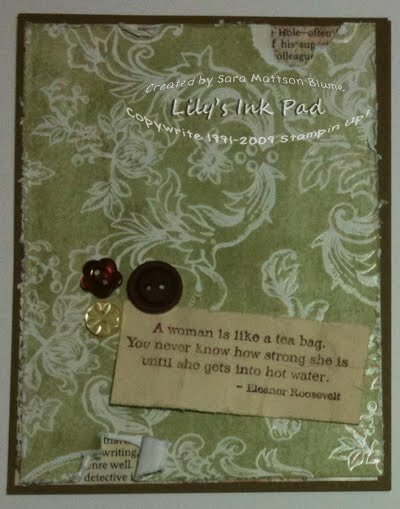 Now that you have seen my projects- move onto the next blog: Twila's Stamp a Little More to see her fabulous projects featuring the Blissful Bride stamp set. Great variety in projects! I love the pictures of you and your grandmother. Sara, your comments about your grandmother brought tears to my eyes. Beautiful projects and tribute to your GM! Wow Sara, awesome projects. I love this set as well. Wonderful projects! Love the scrapbook page. That is an incredible LO. TFS! Gorgeous, Sara! I couldn't pick a favorite.. love them all! Cute projects Sara!! Your first card is especially amazing! LOVE it! Beautiful projects! My favorite is the page. I also love the page! I wish you would leave a May basket at my door! Thanks for sharing the beautiful SB pages. Wonderful projects. Love the last scrapbook page. That paper just makes the page! Beautiful projects loved your scrapbook page! Great quotes! 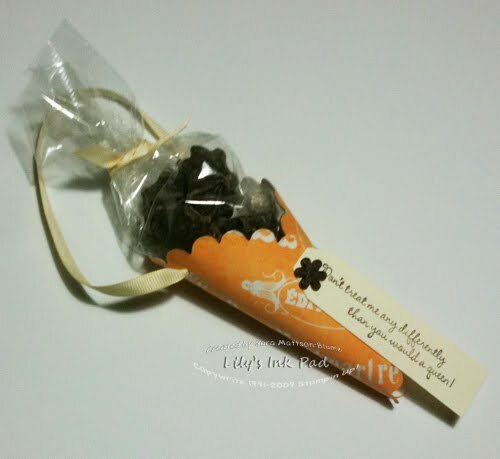 I love how you used them on so many different projects! Great job and what a great tribute! Thanks for sharing! Loved the photos and vintage page! What great ways to use this stamp. I love the scrapbook page and the story with it! 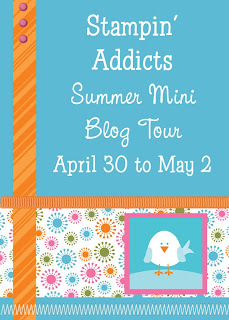 Lovin' the vintage look and feel of these projects! Very pretty! The SB page is my favorite! LOVE the Green and Blue cards! Now I really want to g play with MY presto paper! 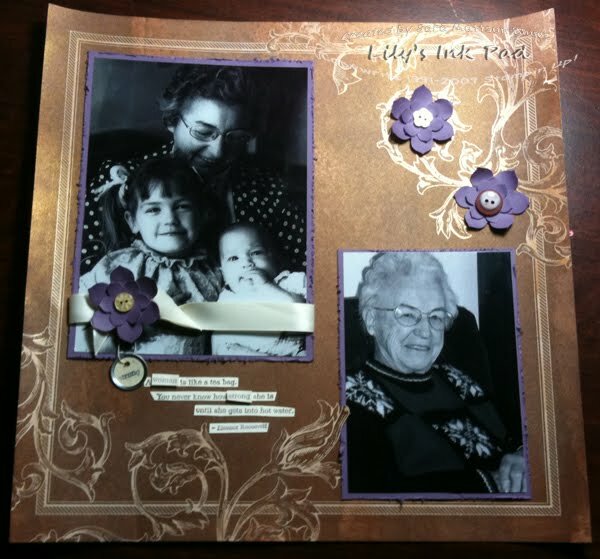 Sara, lovely projects, my favorite has to be the scrap page of your grandma. Sara, these are really awesome! Love the Grandma scrap page the best...just precious. Sara I love the variety of your projects - you really showed the versatility of this set. And I adore the scrapbook page!